Aside from being the greatest trumpeter since Louis Armstrong, or being held high as one of the greatest composers in jazz, Dizzy Gillespie was a comedian of sorts. Alluring the audience with weird hats, funky language, and cake-walking, Dizzy was more than a musician, dominating any stage with charisma, an animated performance and a rare sense of ease. In 1958, a filmmaker tried to capture some of these features on film, though camera's fascination with Dizz can be traced back to the 1940s and his first Soundie films. 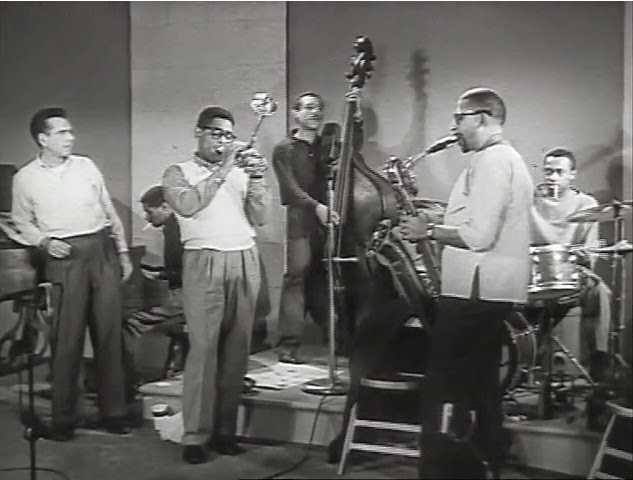 Directed by the independent American animator John Hubley, A Date With Dizzy presents Dizzy Gillespie Quintet with Sahib Shihab, Wade Legge, Nelson Boyd and Charlie Persip. 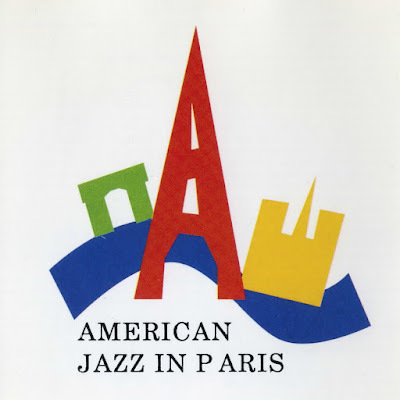 Combing comedy with animation and fragments of Dizzy's classic pieces, the story concerns a day in the studio, while in presence of an indecisive director and a nervous company representative, the band is trying to score for a couple of silly cartoon commercials such as Instant Rope Ladder and E-Z Popcorn.